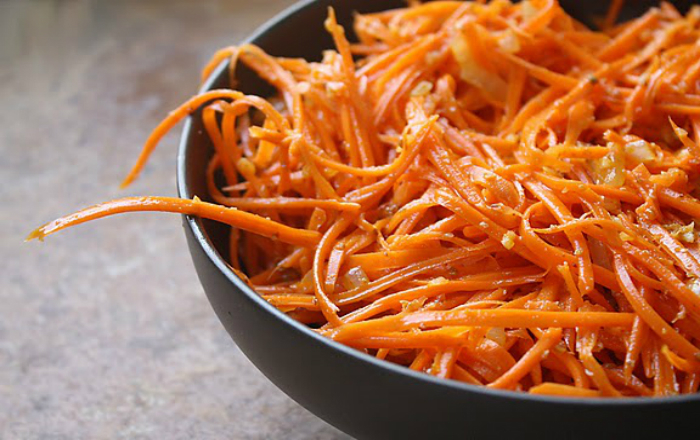 This Russian Korean carrot recipe is one of my favorites. It is spicy and crunchy and just perfect. • Mix together carrots, vinegar, garlic, coriander, salt, pepper, and sugar. • Heat oil in the medium skillet over medium/high heat. • Saute onion until soft and golden (about 5-6 minutes). • Discard the onion and add the oil to the carrots. • Mix everything well and let salad sit for at least 1 hour before serving.